Gauri Lankesh was shot dead by unknown bikers outside her home in an upscale part of Bengaluru on September 5. 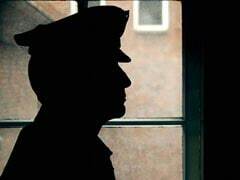 Around 8 pm, she was stepping out of her car to open the gates, when seven shots were fired at her at close range. A man in a helmet was recorded on cameras as he shot her in the chest. 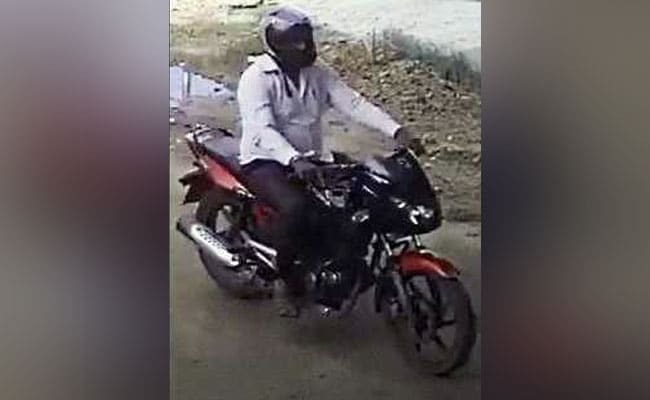 Bengaluru: In the murder of senior journalist and activist Gauri Lankesh in Bengaluru last month, the police are on the lookout for the suspect who is seen riding what appears to be a Bajaj Pulsar bike, is in a white shirt and dark trousers, his face masked by his helmet and his hands gloved. The Special Investigation Team with the help of this CCTV footage of the suspect doing a recce and eyewitness account of local residents prepared sketches. Last weekend, the Karnataka police released sketches of the suspected killers and asked for public help to catch them. The Special Investigation Team also released a video of the suspects, extracted from CCTVs cameras. "Two male suspects have been identified and sketches have been prepared based on information from our technical team and information from locals," an investigating officer said on Saturday. The police believe the suspects were in the city for at least seven days before the murder and recced Ms Lankesh's house and neighbourhood. "We request the public to help us find them or their hideouts in the city, across the state or country," the officer said. 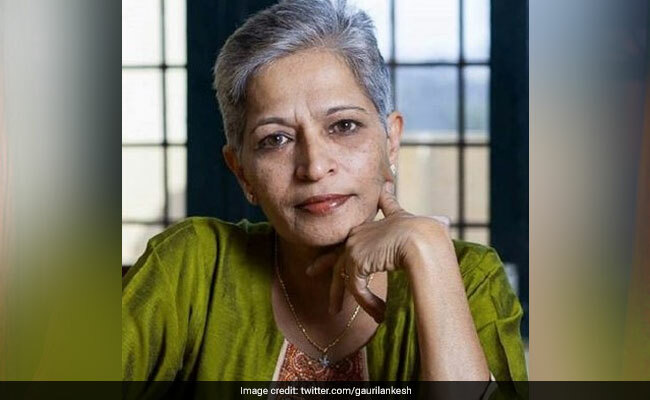 Journalist Gauri Lankesh was murdered last month outside her Bengaluru home. Over the past month, rallies and protest marches have been held in an expression of shock and anger at the brazen killing of the 55-year-old editor renowned for speaking her mind. Last week, the Karnataka government had said that the killers have been identified but evidence is still being collected to prove their guilt. "We know who it is," Home Minister Ramalinga Reddy had told NDTV, but refused to elaborate, explaining that disclosing more information could jeopardize the case.